I am a global digital product innovation and design leader with a proven track record of leading and inspiring teams to deliver bold, courageous and award-winning products in the Middle East, Africa, Turkey, and USA. With a career spanning 18 years in digital media and over 100 product launches around the world, I apply strong product instincts and a deep understanding of local culture to bring new and innovative products to market for clients in the Middle East, Africa and Turkey. My journey started in 1996 as a high school kid developing one of the first websites for the U.S. Food and Drug Administration southwest regional office. I was approached by one of the senior FDA investigators and asked if I could build "an internet web page" for them so that they can better communicate with state health departments. I taught myself HTML on a Compaq LTE laptop that was gifted to me by my supervisor, and eventually completed the website. After high school, I was transferred to the FDA office in Houston working in Public Affairs where I was responsible for various types of print design work for the Office of Women's Health mixed in with admin responsibilities. After working for FDA for over 8 years and winning over a dozen design awards and accolades, I joined a web marketing agency in Houston, where I launched over 30 websites for companies across a wide range of industries. During this time I was spending nights and weekends researching, designing, developing, and launching innovative mobile web applications that pushed the boundaries of what was possible on a mobile phone. This included projects such as the Personal Daily Paper, which was an SMS application that allowed elderly people to subscribe and receive a personal printed newspaper each day without ever interacting with a computer screen. It also included "spoken web" projects such as the speech-enabled publishing platform Syndout, upon which the innovative syndout.com demo news portal was developed and also the Love Books of Ovid 'cell phone novel'. Over 15 products were launched on the Syndout platform. In 2008, after launching over 15 mobile web products as a hobby, I was offered an opportunity at a media company in Minnesota to lead the launch of their mobile product offering for local TV stations. This involved managing a portfolio of over 36 mobile web portals on behalf of some of America's top media companies. I was later recruited into an internal R&D team to help develop innovative products for local media brands. We launched Slantly.com in 2009 and after a year in operation, the service was shut down and the team disbanded. In 2009, my career took a unique twist when I joined a manufacturing company in Bloomington, Minnesota to help launch their new website and bring order to the chaos of managing marketing microsites across various industry segments ranging from Homeowners, Golf Courses, Irrigation, and Landscape Contractors. After laying the foundation for the new website and its vision and direction, I decided to shift back to mobile and joined an app marketing agency also based in Minnesota. They were looking for someone to help launch a new mobile product offering as a new line of business that would eventually overtake their core desktop app marketing business in terms of reach and revenue. As a two person R&D team, which was myself and the co-founder of the company, I helped define, develop, launch, and scale their native mobile app marketing business from scratch. I launched Apperang.com and also the Virtual Currency Rewards platform, which was the company's first native advertising platform. 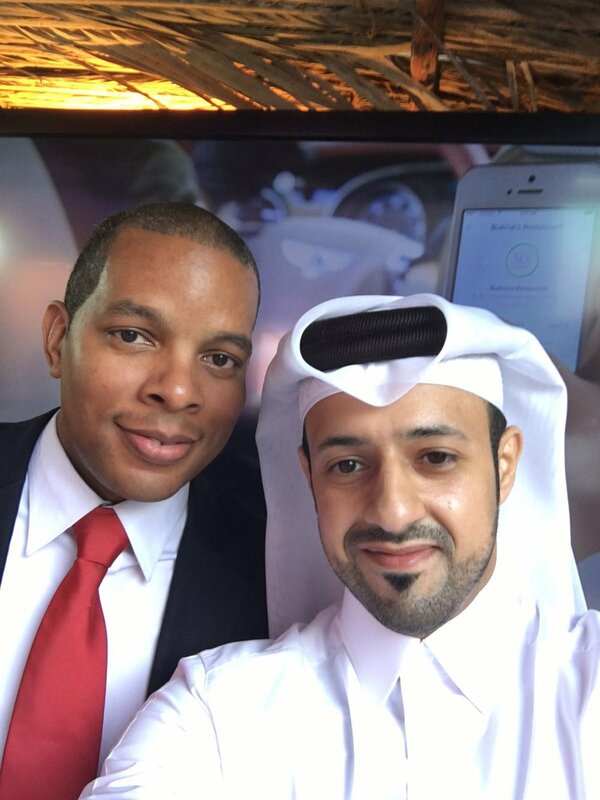 In 2011, I was looking to get back into media and joined a global media company headquartered in Qatar to launch their new global portfolio of mobile apps across English, Arabic, Turkish, and Bosnian languages. The Listening App and the Voices Project were two of the most innovative and impactful products that I've ever worked on. One was a moonshot that never made it to market, and the other was successfully launched through a powerful partnership with the founder of the modern web and demonstrated new and innovative ways of reaching audiences in emerging markets such as Kenya and Ghana. Although the Listening App never went live, I did launch the network's first second screen app for one of the channel's most popular TV Shows called The Stream. In 2015, I partnered with two longtime friends to launch a startup that solved a very real problem we faced daily when deciding where to eat. We built a small development team, released an initial product into the market, was selected as one of the most promising startups around the world, and was incubated in Qatar. In the same year, I also ventured out to solve a different kind of problem, engineering the perfect dress shirt for men. A new line of mens dress shirts that exude power and confidence was soft launched for an exclusive inner circle of friends. These handmade shirts adhere to a high level of detailed craftsmanship found in high end brands like Brioni and Kiton. In 2016, I was approached by a former colleague who had just moved to Turkey to lead Digital Strategy for a new English language international news channel that had all the ingredients of a small startup. I accepted the challenge and relocated with my family to Istanbul to recruit and manage the team responsible for building some of the most forward-thinking products in media. Al Jazeera 24/7 Audio Stream now Available in the U.S.